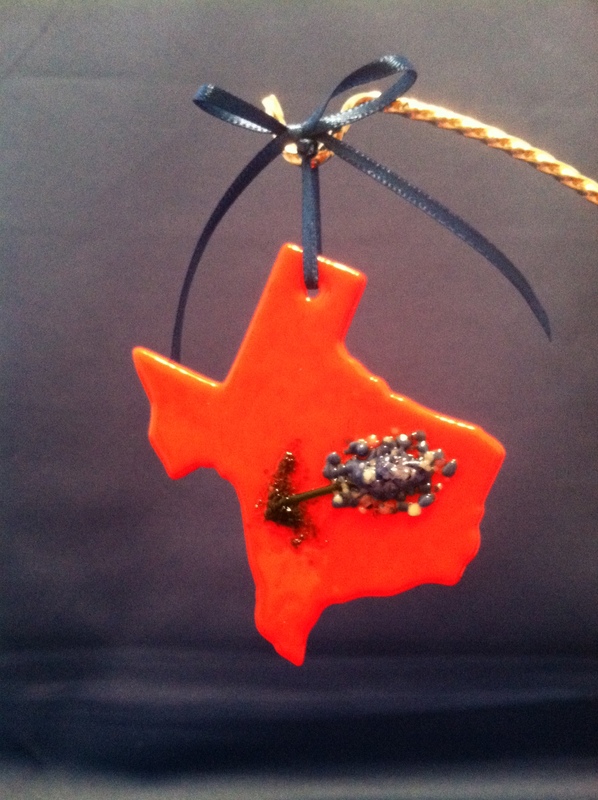 Red Texas Bluebonnet Stained Glass Ornament . The State of Texas and a Texas Bluebonnet overlayed. For more information call (713) 899-0933. Price for this piece is $14.95. There were only a select few made so order yours today so that you won’t miss out!! This entry was posted on October 1, 2012 by alliekayglass. It was filed under Stained Glass and was tagged with Bluebonnet, Glass, Overlay, Red, stained, Texas.